We’ve already done the Edinburgh New Media Breakfast on this topic and it’s fair to say the feedback was excellent. Lots of people reported they hadn’t thought of many of the things we talked about, particularly relating to the strategy behind competitions and how different types of competitions could achieve different results. Here’s a short video to try and explain what we will be talking about on the 27th September, I hope you can make it along. Competitions are a great way to generate awareness, extend your reach and build a community but there are also problems associated with this kind of promotion. Facebook has recently announced changes that make it much simpler to run competitions and promotions, but is this necessarily a good thing? Will businesses run more competitions in pursuit of a greater number of followers or, will it lead to more spamming, fake accounts and irrelevant followers? We are constantly asked for advice about online competitions and how they should be set up and managed. Very often this advice is sought because the terms and conditions are not clear and open to misinterpretation but the more important question is why are you doing it? Too many organisations and businesses run competitions and promotions without any clear understanding of their objectives - they have no strategy. We strongly believe competitions and promotions have their place in online marketing, raising awareness and community building however there must be a purpose to running them and some clearly defined aims and objectives. 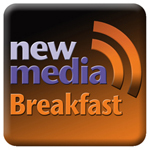 The September New Media Breakfast will take a look at online competitions and provide some advice about best practice for your future competitions.